30+ Business Money Grants That You Can Apply For in Minutes. Who doesn’t like free money? That’s what small business grants are, right? It could help you pay salaries, buy stock, or reach new customers. While grants are “free” in the sense that you don’t have to pay them back, they’re not handouts. You can’t just go to a website and ask for “1 small business grant please,” and expect to get one. In all cases, you need to apply for a grant, which can take a decent amount of work and effort. Then, you’re up against other small businesses that also want the grant. It’s common for even small grants to get hundreds of applicants. If you understand that, and that there’s no guarantee to get a grant, your head is in the right place. Almost all grants are for existing businesses – If you haven’t started your business, it’s almost impossible to win a grant. Look for a loan instead. Grants are given to “interesting” businesses – A standard coffee shop is going to have a hard time winning a grant. Most grants are awarded to businesses who are innovative or contributing to a social cause. Grants aren’t immediate – Most grants only accept applications once a year, and the winner isn’t announced until later. Grants are not a short-term funding solution. If all that makes sense, let’s get to the small business grants. As a warning, almost all of these are focused on businesses in the United States. How Do You Qualify For a Small Business Grant? Do You Have to Pay Back Small Business Grants? What Type of Credit do You Need to Get a Grant? I’ve dug as deep as possible to find these online grants, but be aware that there are many that aren’t easily found online. If you go to local business associations or development centers, they may be able to help find grants your business may be eligible that have less competition. There are a wide variety of grants from the government from both the federal and state level. Grants.gov: The first place all small businesses should go to look for a federal grant. It’s a database of thousands of grants with powerful filters that will help you quickly narrow down the results to grants that you have a good chance of getting. Small Business Administration (SBA) Grants: The SBA mainly helps small businesses find conventional means of funding (loans, investment capital, etc.). But they also have a few grant programs, targeted specifically at businesses involved with research or exporting. State Trade Expansion Program (STEP): This program awards grants to small businesses involved in exporting. Not too much information about this grant is available online, you’ll need to contact the SBA’s Office of International Trade to see if you qualify. SAM.gov Grants (formerly the Catalog of Federal Domestic Assistance): This is another great federal grant database with a modern re-design. While there is some overlap with Grants.gov, you’ll find a few unique ones as well that makes it worth your time to check. 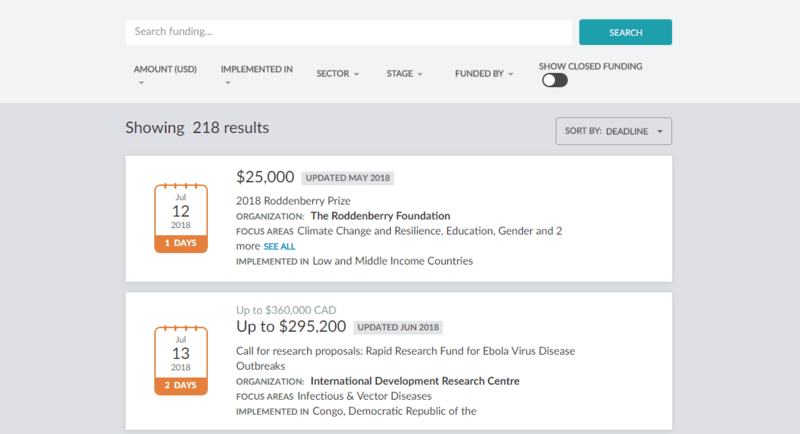 You can use the advanced search filters to only see grant results, or also see other funding sources like loans. Challenge.gov: This technically isn’t a site that offers grants, but they do offer significant amounts of prize money for solving challenges facing a variety of industries. Many are technology-oriented, but there are non-tech challenges as well. If your business is doing something innovative, monitor Challenge.gov for relevant challenges that might be easy for your small business to win. Some are focused on rural businesses, but not all of them are. Check the eligibility requirements for each program you’re interested in to see if you qualify. National Institute of Standards and Technology (NIST) Grants: This is where the NIST lists their grants. They are intended for small businesses involved with science or technology in some way. You can either find the currently active grants here, or through Grants.gov. Department of Education Grants: The Department of Education maintains an active list of several grants they offer to small businesses in the education industry. The award ceiling for many grants is up to millions of dollars, so if you run an education-based small business, you should actively monitor these grants. Environmental Protection Agency (EPA) Grants: The EPA offers dozens of grants to small businesses that are trying to improve the environment, particularly in innovative ways. There are grants targeted towards air quality, environment quality, water quality, pollution prevention, and more. Economic Development Administration (EDA): The EDA offers grants to small businesses aiming to improve infrastructure of communities. The only issue is that there’s no easy directory of grants to monitor, you’ll have to check this page often for new announcements. You can see previous opportunities to check for relevance on this page. One of the best sources of small business grants is from corporations looking to give back to the community. These often have less competition than other grants because they aren’t listed on popular grant sites like Grants.gov. FedEx’s Small Business Grant: In 2018, this grant received 7,800 applications, with 10 winners total. That gives you a winning chance of 1 in 780, or 0.13%. You can discount a big chunk of the applications because there are always irrelevant or non-serious ones, but the numbers give you a realistic look at how hard it can be to win grants unless you’re doing something really special. It doesn’t mean that you shouldn’t try to win grants, but be realistic. The winner of this competition gets a $25,000 grant, while 2nd place gets $15,000, and the eight 3rd place winners get $7,500. To enter, you’ll need to deliver your elevator pitch, as well as how your business makes a difference to your community or the environment. Finally, you need to demonstrate that there’s an actual need for the grant money. 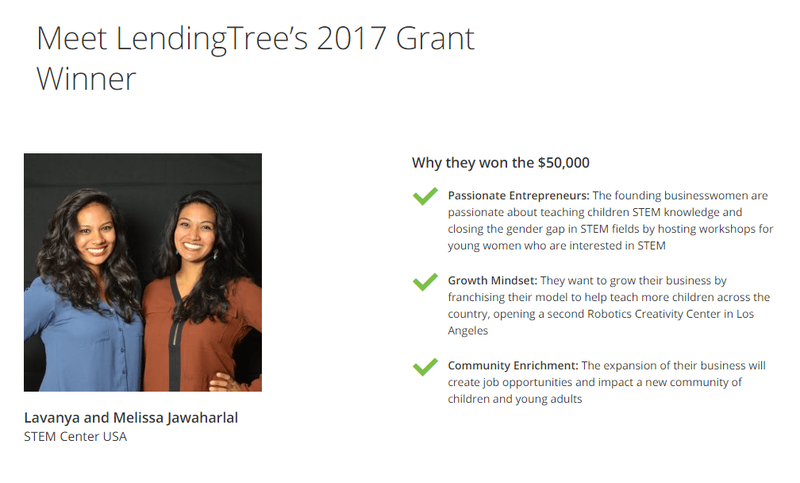 Lending Tree: Lending Tree primarily offers different types of loans, but also periodically runs small business grant contests. In 2017, the winner won $50,000. They judge businesses based on how passionate the founders are, and if growing their business will result in a better community. National Association of the Self-Employed (NASE): If you are self-employed, you may be eligible for the monthly $4,000 grant that NASE awards. There’s not too many requirements to meet other than being a NASE member. This is not free, and probably not worth the cost if you’re only interested in trying to win the grant. Idea Cafe’s Small Business Grants: Idea Cafe is a news and resource site for small business owners and entrepreneurs. They offer $1,000 grants to winners, and it’s one of the few grants that you don’t even need an established business already to enter. 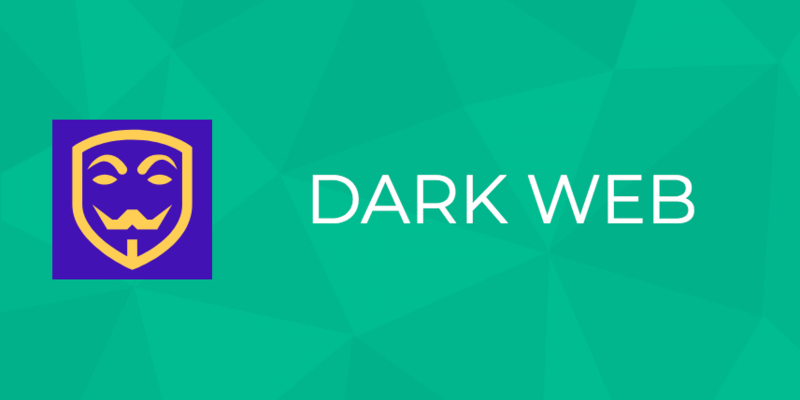 Winners are decided by votes from the community. Walmart Foundation Grants: Walmart offers grants specifically for nonprofits. The grants are not a fixed amount, but fall into 2 ranges. The “community grant program” is for local nonprofits, and is between $250 and $5,000. The “national giving program” is for national nonprofits, and awards grants for $250,000 and above. The grants are awarded to nonprofits that focus on opportunities, sustainability, or communities. Basically, any social-oriented business. Wells Fargo Community Giving Grants: These grants offered by Wells Fargo are specifically for educational institutions and nonprofits. Businesses can apply year-round, and there is no fixed amount for the grant. Wells Fargo gives away millions in grants every year. AT&T Aspire: Currently, AT&T are not accepting applications for their Aspire grants, so you’ll need to monitor this page. The grants are intended for small businesses that are focused on improving education, especially for high schools. On top of all the grants we’ve looked at so far, there are several grants and resources specifically for small businesses that are owned by women. I encourage you to visit your local Women’s Business Centers if possible, there are over 100 across the United States. They will be able to point you towards additional grant opportunities, or help you find alternative funding methods. The Amber Grants: Each month, one small business owned by a woman wins a $1,000 Amber Grant. You will need to get votes to win, so it helps to have a strong social network. At the end of the year, the 12 grant winners have a chance to win the annual $10,000 Amber Grant. The InnovateHer Challenge: This is a grant that is funded by the SBA for women entrepreneurs that runs every year. There are 3 winners, with first place receiving $40,000, second winning $20,000, and third being granted $10,000. It’s a fairly prestigious grant that comes with a lot of publicity for the winners’ businesses as well. To win, you first need to win a local InnovateHer challenge to qualify for the national competition. You can see the local locations on this map. Any type of business is eligible to compete, but businesses that are geared towards women and their social problems typically do best. The Eileen Fisher Community Partnerships Grant: These grants are given every quarter (3 months), and can be up to $2,500. To be eligible, you must be running a local nonprofit that has some sort of community-oriented goal. There is a variety of eligibility conditions beyond that, including having a clear need for the money, and having some sort of relationship with Eileen Fisher (any of their stores or partners). Cartier Women’s Initiative Award: These grants are prestigious awards that can make a huge difference for any small business. There are 21 finalists, 3 from each of the main 7 regions of the Earth. All 21 finalists get personalized coaching, training, networking opportunities, and media visibility. That alone is worth a lot of money. Additionally, all 21 finalists are given a grant. The top 7 get a grant of $100,000, plus personalized business mentoring. The other 14 still get a $30,000 grant. Open Meadows Foundation Grant Program: The Open Meadows Foundation offers grants up to $2,000 to small businesses that are focused on enriching their communities, and have a clear need for the grant money. It’s one of the few grants that gives priority to very small and startup businesses. Tory Burch Foundation Fellowship: The Tory Burch Foundation offers a fellowship program to selected business owners, which includes a grant. There were 10 fellows in 2018. The fellowship program involved a 3 day workshop, which provides networking opportunities with successful entrepreneurs. You’ll also get yearlong support from the foundation. Finally, each fellow is awarded a $10,000 grant. This isn’t justa grant, because it offers more with training and mentorship, but will also take more of your time. I recommend looking at what the Foundation stands for, and seeing if that’s something that resonates and you value. Many veterans go into entrepreneurship after their service. Unfortunately, while there are a lot of loans that are specifically for veterans, there are very few grants. Your best bet is to visit a Veteran’s Business Outreach Center, where they can point you to any local grant that you may be eligible for. Each center also offers training and access to other small business resources for veterans. The Streetshares Foundation: The Streetshares Foundation is the only reliable online source for veteran grants. They offer grants and loans for small businesses run be veterans or their spouses. Grants are awarded each month to businesses based on how much social impact they have, and how strong their business idea is. GrantWatch: GrantWatch doesn’t offer any grants themselves, but keeps on top of new grants that are available for veterans. It’s a great way to find local grants that you might not find using the other databases on this page. There are many loans available for minorities, but few grants, just like veterans. Minority Business Development Agency (MBDA): The MBDA offers very restricted grants to all types of American minorities. The grants are only given to those interested in running one of MBDA’s Minority Business Centers, and only in specific locations that they want to expand to. You’ll need to offer consulting services, and help them secure financing and investments. You’ll need to show that you have experience doing this, so very few people are eligible. In addition to those grants, MBDA also occasionally runs other grant competitions. You’ll have to monitor their news to find these opportunities in the future, but there are no set schedules or eligibility guidelines for them. First Nations Development Institute Grants: Monitor this page to find grant opportunities for small businesses owned by Native Americans. This organization has given over 1,400 grants for a total of almost $30 million dollars from 1993 to 2017. There are no restrictions on the types of businesses eligible for the grants, as long as the owner is Native American. You can subscribe to their email list to be alerted to any new opportunities. There are some grants that don’t belong to any of those above categories that you may be eligible for. 100,000 Strong in the Americas: These grants are specifically for higher education institutions. While your small business can’t apply for these grants directly, you could partner with a higher education institution if your business offers services for students. You get funding, and they get the value of your products or services. Eugene Applebaum Dare to Dream Grant Program: These grants are up to $1,500 and are for student-owned businesses at the University of Michigan. The grants are only available for students, but you do not need to own a business already to qualify for one, you just need a good idea. It’s as much of an educational program as it is a funding one. Global Innovation Exchange Funding Database: This is a worldwide funding database with a modern interface. It’s an easy way to find contests and grants that you might otherwise miss, and is worth keeping as a bookmark. As I’ve mentioned, there can be a lot of competition for grants. There is often hundreds of small businesses applying for a single grant. It’s something you need to take seriously if you expect to win. In this section, I’ll go over the most important things to do to improve your chances of winning grants. Let’s start with some basic do’s and don’ts of trying to win grants. Make a schedule – Many grants are only open to applications once a year. Schedule time to put together an application ahead of time. Write a business plan first – Most grants ask for a business plan. More importantly, you should know how exactly the grant money will help your business. Here’s our guide to writing a simple business plan. See what companies have been funded in the past – This can help you determine which grants you have a good chance of winning. If they funded similar types of businesses, that’s a good sign. Get help from local business organizations – I went through many types of local business organizations that provide assistance to small business owners. This includes helping you find grant opportunities and presenting your business in the best light. Wait until the last minute – Many grants require you to become a member of an organization or get a certification or license. You may not have time to meet the eligibility conditions if you wait too long. Use a template for all grant applications – Each grant application should be tailored to each specific grant. Otherwise you’ll include a lot of irrelevant information and not include important answers that were asked for. Apply for every grant – There are many grants that your business will have virtually 0 chance of winning. It’s better to spend more time on the most relevant grants, than to spread yourself too thin and have lower quality applications on many grants. There are a lot of simple things you can do to improve your chances of winning grants. Most are easy to understand, but you need to make sure you keep them in mind. Always look for new grant opportunities (Setting up a Google Alert is a good idea). Make sure the time spent to apply for a grant is actually worth the grant amount. Read over the individual application instructions to each grant. Some are similar, but few are the exact same. Double-check that you are eligible before spending a lot of time on an application. Provide specific numbers on how the grant will be used and how it will help. Submitting your application early may make you look more prepared than late-submitters. Back up claims with credible citations. Be realistic when mentioning your business’ costs or revenue. Find a book from your library on grant writing if you want to write better grant proposals. At this point, you probably have a few questions in your mind, hopefully I can clear them up here. When you read about “qualifying” for a small business grant, most people are talking about eligibility. Each individual grant specifies which businesses are eligible to win it. Anyone can apply for a grant, but if you don’t meet the eligibility criteria, you have zero chance to get it. Of the grants listed on this page, almost every small business can apply for the grants in the government and corporate grant sections. If you’re a woman, you have several grant opportunities on top of that. The majority of the rest of the grants I included here are for a specific type of business, so you’ll need to look at them individually and see if your small business is eligible. No! That’s what makes them grants. Unlike loans, grants do not require you to be paid back, and can be used for just about anything business-related. Some grants do require you to report back how the grants were used and how they helped, but that’s usually for them to get more publicity or to try and help you further. There are rarely any limits on the number of grants you can apply for. However, you can only apply to each grant once per business you run. Sometimes, a program offers multiple grants per year. Most of them allow businesses to submit applications multiple times, but a few do not. Check the grant details to find out. Credit is rarely a factor when determining the winner of a grant. However, you’ll likely need decent credit to get your business up and running in the first place before you can even apply for most grants. Additionally, most grants require that your small business be in good financial standing, meaning that you don’t have any unreasonable debt that can’t realistically be paid back. This varies widely based on each grant. One business might win a grant for $500, while another might win $500,000. The amount of each grant should be something you consider when you’re deciding which grants to apply for. There are many small business grants out there if you’re willing to work for them. If you want to win grants, you’ll need to take it seriously and beat out the competition. Don’t be afraid to apply to smaller ones, because they will often have less competition than the grants for high amounts. I strongly encourage you to also visit local small business associations, and pursue other means of small business financing if you need money for your business urgently. If you still have any questions about grants, please leave a comment and I’ll try to answer it. You are here: Home > Welcome To The Digital.com Blog > Tips > 30+ Business Money Grants That You Can Apply For in Minutes.